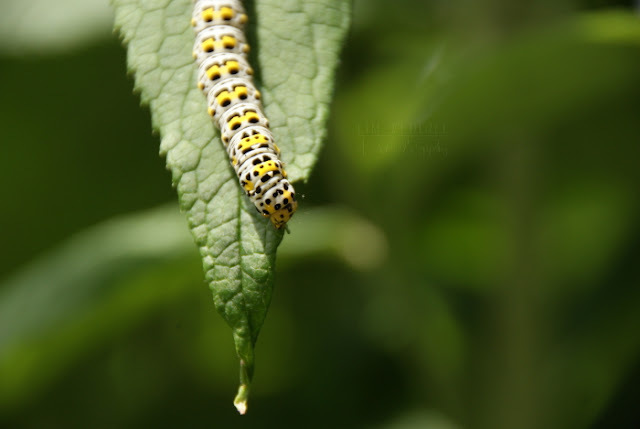 Spotted a mullein caterpillar in the garden about an hour ago, and I have to say I'm made up with the picture! I'm also dead pleased I finally found a photographable bug - I've seen all kinds of spiders and woodlice, of course, but a caterpillar is a caterpillar and more fun to look at, I reckon! I've also done a few things over this weekend for #30DaysWild, I've not been inactive, but it's been one thing after another and I've not had the chance to fix up any of the photos of what I've been making and doing :( But this caterpillar is better than nothing!